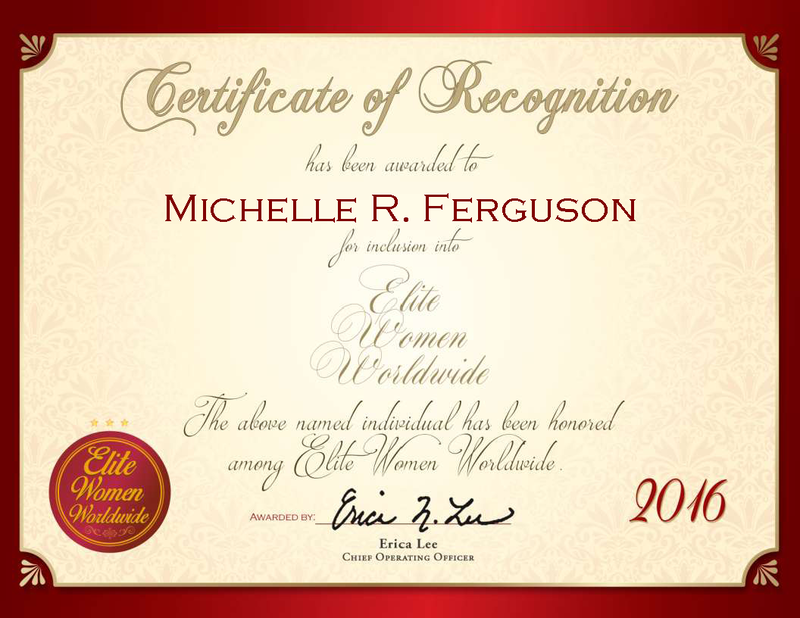 Company: McGraw Hill Financial Inc.
New York, NY, January 26, 2016, Michelle R. Ferguson, Vice President of Global Workplace Strategies and Services at McGraw Hill Financial Inc., has been recognized by Elite Women Worldwide for dedication, achievement and leadership in operations and finance. Ms. Ferguson, an expert in project management, brings over three decades of professional experience to McGraw Hill Financial Inc. McGraw Hill Financial provides finance, human resources, real estate and financial ERP services. Ms. Ferguson has held many positions within the company over the years; she is the founder of their women’s initiative program, and is the co-founder of their corporate-wide mentoring program. With those programs, she published a book, “The Power of Mentoring,” which tells the story of the development of the company’s mentoring initiative. She became involved in her profession because she was interested in both accounting and engineering in college. Ms. Ferguson has an MBA from Columbia Business School and a Bachelor of Business Administration from the University of Notre Dame, where she still does volunteer work. After college, Ms. Ferguson got her first job in public accounting with Peat Marwick Mitchell. Ms. Ferguson attributes her success to treating people well; she is able to persuade people to do things they normally wouldn’t do by encouraging them and empowering them to succeed. She also excels at execution and getting things done. In 1997, with McGraw Hill Financial, she signed three of the largest real estate deals in Manhattan. In the next five years, Ms. Ferguson hopes to expand in her role and find other challenging projects.